"Resiliency Edge" integrates priciples from "Reclaiming the Sky" into the training cirriculum. NEW! The Human Resiliency Institute at Fordham and the American Association of Airport Executives (AAAE) have created a partnership to offer "Resiliency Edge" through AAAE’s network. Read a letter from the Fordham dean. Today, airport employees must do more with less, and that can erode productivity levels, raise costs for airports and their partners and have a negative impact on service levels. "Resiliency Edge" is a three part program designed to give airport and airline employees "tools" to do more with less - so they can operate more efficiently, enthusiastically and be more productive in a tough economy. The program helps employees understand that the most effective way for them to reduce their pressures is to relieve pressures for their distressed airport customers. The program follows this point up by providing employees with resiliency ("bounce back") tools to become PROBLEM SOLVERS for airport travelers. Created by the Service Institute and implemented through the Human Resiliency Institute at Fordham University, "Resiliency Edge" operates with a three-part system to help airports support service levels by supporting their employees to perform at their peaks. Airport travelers win because they get their "unmet" needs met. Employees win because they learn how to take control of their pressures and achieve balance at work. Airports and their partners win because they maximize the utility of their workforces - which saves costs –promote an airport-wide community dedicated to solving and enhance service levels. "Resiliency Edge" is a two hour module that "fits" with a company’s existing customer service training, or can stand alone. In the program, employees learn how to identify and build on their resiliency strengths around the program’s four key resiliency traits, including adaptability, engagement, optimism and pro-action. An incentive operates in conjunction with the program to give individual companies - and airports - an opportunity to recognize top performing "problem solvers," who use the lessons to "do more with less" - and increase their productivity. Researchers from Fordham’s Human Resources Masters Program conduct evaluations to show the impact on productivity and service levels following the training, and AAAE promotes the program through its communications outlets. The program was introduced in 2008 in New York, beginning with Port Authority of NY/NJ’s three airports - JFK, Newark Liberty and LaGuardia airports - and is being expanded to airports throughout the US through the partnership between AAAE and Fordham. 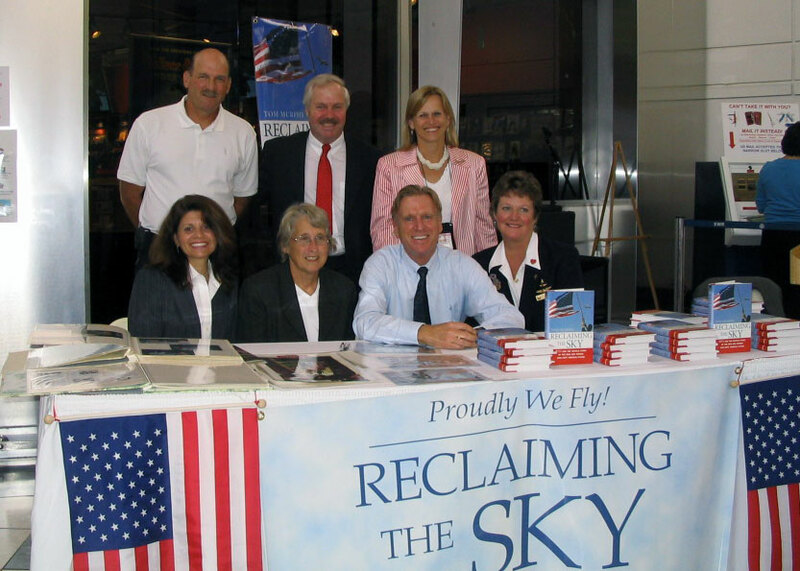 The four traits used in the "Resiliency Edge" come from the stories of courage and resiliency demonstrated by aviation workers profiled in the book, "Reclaiming the Sky: 9/11 and the Untold Story of the Men and Women Who Kept America Flying." For more information about the Human Resiliency Institute at Fordham’s work and to learn how "Resiliency Edge" can benefit your airport or airline, contact us. Read stories of top "problem solving" performers. See "Resiliency Edge" in action: read press clips. Also, learn more about Fordham University’s Graduate School of Education and its Human Resource Masters program.